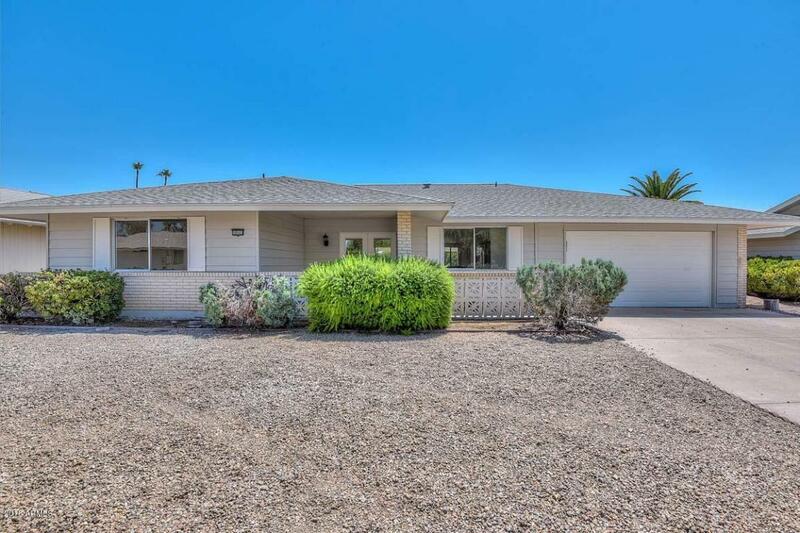 This beautifully remodeled home has it all. 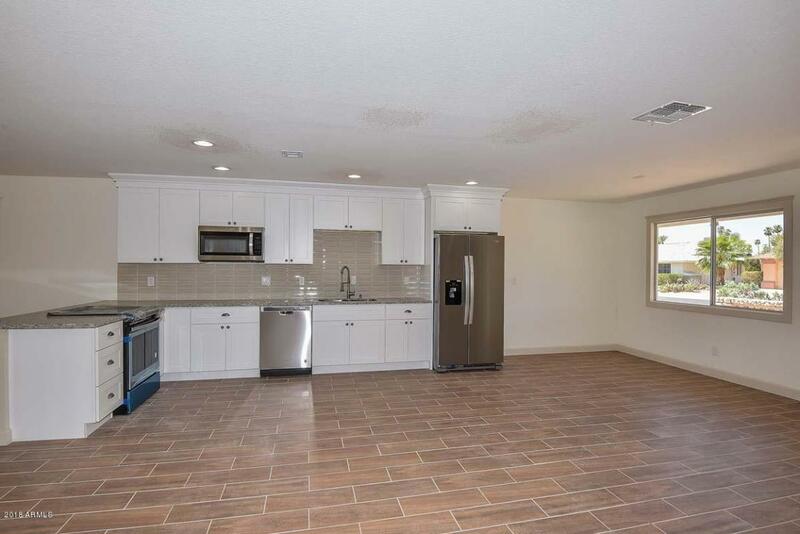 The newly updated floor plan features a great room concept with the living area open to the gorgeous kitchen and dining area. 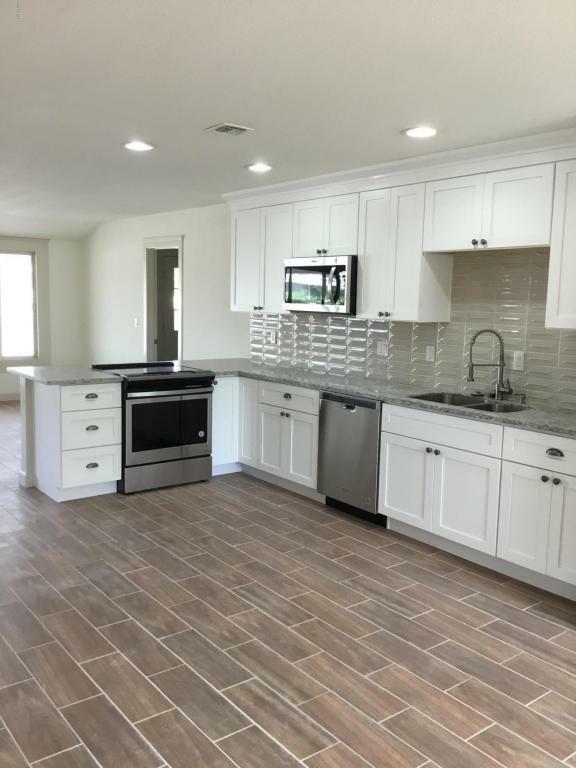 The redesigned kitchen offers white custom cabinetry, stainless steel appliances and granite countertops and is ready for your next dinner party! Not only was the floor plan opened up, there are all doors & framed in windows to add style & lighten up the home. The bathrooms have been remodeled to give you the spa experience every time you use them. The gray cabinets, custom tile work and expanded showers and walk-in tub will make life easy. There is new carpet and wood looking tiled flooring throughout. 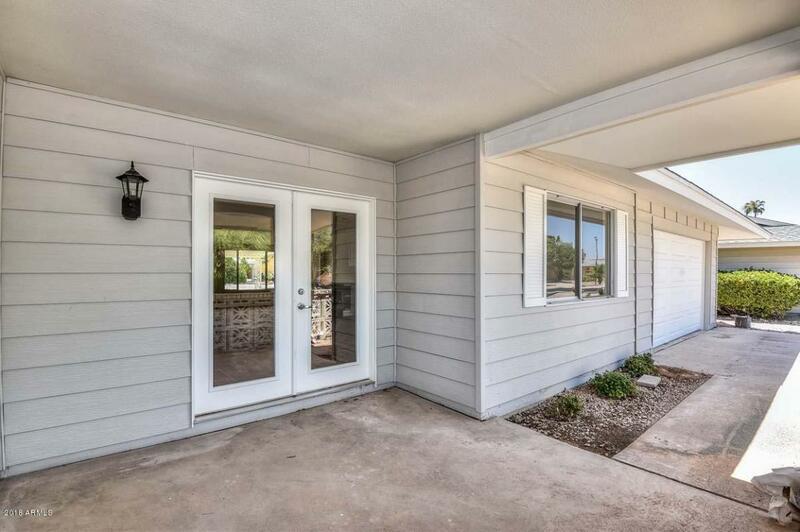 The exterior was freshly painted & the garage was enclosed for added storage & security. It's a winner!